5 Facts You Need to Know | The Art of Creative Brand Storytelling. Fact 1º It’s never been more important to be mindful around creating an unforgettable brand story. Fact 2º We live in a customer-centric world. Your brand need more clarity in order to make more meaningful connections that actually matter to people. Fact 3º Your values shape and define who you are, what you do and why you do it. When you can identify and champion your own values (own, live and breath them), the brand story you tell is much more compelling. People will feel the difference. Fact 4º Emotional intelligence and self-awareness are today’s meta-skills for for an irresistible brand story. Courage and the desire to be transparent is always going to land a higher score with people. Fact 5º Developing your own core brand story is an emboldening strategy. Genuine, personal and relevant stories always hit home. 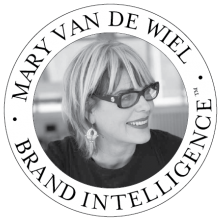 Just like her promise to zing your brand, Van will spark your creative juices, draw out your story, play back your thoughts, zone in on your essence, and it will be a blast: A day when time will stand still and your unconscious takes form and meaning with a clarity so obvious you’ll wonder how you didn’t see it. 1) Book a 90-minute Brand Audit. You’ll walk away with a clarified vision around your brand and business’ undeniable value. (Think: a caffeinated jolt.) Van’s signature Brand Audit is one-part reality check, one-part marketing assessment and one-part strategy session. Think: a renewed sense of clarity, how to reframe your brand story so your clients can truly recognize who you are, what you bring to the table, why it matters – and why anyone should give a damn. Or email van@zingyourbrand.com and let’s continue the dialog. If you’ve been charged with the task of bolstering your company’s brand or helping your senior-level executives re-energize their own identity, you’ve got your work cut out for you. Ditto if you’re looking to kick-start your current business, or launch a new division. FYI This process is really about recognizing who you are – so others can. Email me and share your issues and what’s most frustrating for you, and we can take it from there. Or bring me in to your HQ for a 1:1 team brain-jam, or beam me in via Skype to synthesize your vision. FYI I am currently working in Mexico so Skype works brilliantly for my international clients. The coaching program works best if your business is already well up and running, and you’re seriously looking to take it to the next level. If you’re poised, willing (and have the creative courage) to pull back the layers and look at why you do what you do, why you think that matters and why anyone should give a damn__ get in touch with me, and we can schedule a call to discuss your issues. van@zingyourbrand.com Looking forward to hearing from you. Schedule this increasingly popular one-of-a-kind workshop to re-energize your thinking, revitalize your leadership or small business team and determine why you do what you do. Think of the NY Brand Lab as a boot camp for empowering your brand, mindset and company so you walk away seeing a transformational turn around. We design the Brand Lab for start up entrepreneurs as well as for the corporate arena. Imagine booking a morning session or a one/two day training workshop. Van also takes the NY Brand Lab on the road, across the USA, Mexico, Latin America and Australia. With hundreds of Brand Lab grads around the globe, they’re raving about their new creative thinking, unforgettable brand stories, insights and the radical transformational shifts they’ve experienced.